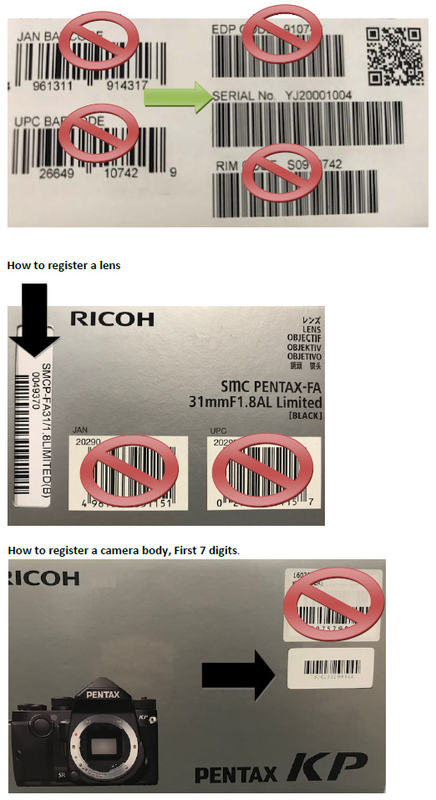 Below is a list of frequently asked questions and corresponding answers for the PENTAX K-70 digital camera. The AA-filter-free design optimizes the resolving power of the approximately 24.24 effective megapixels provided by the high-resolution APS-C size CMOS image sensor, while assuring high-speed readout of rich-gradation, 14-bit image data. By coupling a newly developed accelerator unit with the high-speed PRIME MII imaging engine, it effectively minimizes noise at all sensitivity levels, and captures rich-gradation, fine-detailed images even in super-high-sensitivity shooting at a top sensitivity of ISO 102400. Combination of the phase-matching AF and contrast detection AF works as high-speed AF operation during Live View shooting. It combines a compact, easy-to-carry body with a dustproof, weather-resistant construction with 100 sealing parts and outstanding cold-proof performance at temperatures down to -10°C. This built-in body SR mechanism provides a compensation effect of 4.5 shutter steps and also corresponded with the panning shot as automatically detects the direction of the camera’s movement and efficiently controls the SR unit to produce the best possible image. This system optimizes the potential of the high-pixel image sensor which has truthful colors and fine details. It is also equipped ON/OFF function of Motion Correction function to minimizes negative effects of moving object during continuous shooting. • This system may not correct certain types of subject movement. It does not guarantee that the movement is properly corrected with all subjects. This simulator provides the same level of moiré reduction as an optical AA filter. • This simulator works most effectively with a shutter speed of 1/1000 second or slower. During movie recording, you can also use the Continuous AF (AF-C) mode* to keep accurate focus on a moving subject, or take advantage of a new aperture control function** to automatically assure the proper exposure level even when faced with fluctuating lighting conditions. Since the vari-angle LCD monitor allows for the positioning of the monitor at any desired angle, it makes it easier to compose the image in a wide variety of applications, such as high-angle shooting using stretched arms or low-angle shots taken from ground level. You can customize the operation by assigning the desired functions to the set of buttons, including the Fx1 and Fx2 buttons, and the three USER Mode positions of the Mode dial. It also provides a choice of menu items and the order of their listing displayed on the control panel. The following camera settings are initially assigned to the USER Modes as default. It provides a set of wireless LAN (Wi-Fi) functions to support operations using mobile devices such as Smartphone and tablet computers. What is included in the K-70 kit? You can connect the camera to a TV or other device and display the Live View image or play back captured images on the monitor by using the commercially available HDMI cable (typeD). *There is no display will come up on the camera when the camera is connected with a AV device. Make sure to have a commercially available USB cable equipped with a micro B terminal if planning to connect the camera to a computer. *You cannot operate the camera while it is connected with a computer. The camera has an engineering plastic exterior. Is the K-70 designed to be water-resistant/dust-proof? Yes. There are about 100 different sealing components used in the dials, buttons, joints and retractable parts of the camera, making it both dust-proof and water-resistant. *For best protection against water or dust, use the camera with the Hot Shoe Cover FK, the Sync Socket 2P Cap and the Battery Grip Contact Cover attached. If the water resists lens set with K-70, is it used in the rain? When an AW- or WR-series lens* is mounted, the K-70 and its lens forms a remarkable digital imaging system totally resistant to demanding environmental factors. However, it is not recommended to use these units in the rain for long time. When you are going to shoot in the rain continuously, it is recommended to use with rain cover etc. *A sealing is being also done around the joint and the operating parts, but when it's left while getting wet, there is a possibility to flood gradually. So if it is got wet, a drop of water will be wiped up briskly. About the lens, it is also recommend operating a zooming etc. after a drop of water is wiped up. Does the K-70 have any features that help prevent dust from collecting on the image sensor? Yes. The SP coating on the image sensor helps prevent dust from collecting on the image sensor. Furthermore, DR (the Dust Removal mechanism: activate image sensor) removes dust from the sensor unit. The microphone is located at both side of the top cover. Addition to this, it is equipped a terminal for external microphone, so that you can reduce operation noise during recording if you connect commercially available stereo microphone with it. Can I use the Cable Switch with this camera? Yes, you can connect the optional Cable Switch CS-310 to the microphone/cable release terminal on the camera. When the cable release is connected, sounds are recorded with the built-in microphone. You can set the device to connect in [External Input Devices] of the Setting 3 menu. Normally, you do not need to change the default setting ([Auto Select]). The specifications of the viewfinder are as follows. Is the focusing screen changeable? Yes,　in addition to the standard AF Frame Matte MF-60 attached to the camera, the AF Divided Matte ML-60, AF Scale Matte MI-60 and Plain Matte ME-60 are also available. Is there the Superimpose available? Yes,　displays the active AF point in red in the viewfinder. Specification for the LCD monitor? The specification of the LCD monitor is as follows. Adjustment Brightness, Saturation and Colors adjustment. Outdoor monitor ±2 step adjustment. Brightness level can be instantly adjusted to the lighting level of a shooting location, it also features a red-lighted monitor display function, which works friendly to the photographer’s eye when it has become accustomed to a dark location during astronomical photography. In [Hold AF Status], you can set whether to immediately reactivate autofocus or to maintain the focus for a certain amount of time before reactivating autofocus when the subject happens to move out of the selected focusing area after being focused, default setting is [Low]. When [Focus Peaking] is set to [On], the outline of the subject in focus is emphasized, and this makes it easier to check the focus. This function works in both AF and MF modes. *1 To assimilate a contrast-detection AF sensor with superior focusing accuracy and a phase-matching AF sensor positioned on the image sensor’s surface, this innovative hybrid system optimizes the benefits of both AF systems to assure high-speed, pinpoint AF focusing on the subject. The built-in PENTAX-original SR (Shake Reduction) mechanism, the PENTAX K-70 effectively minimizes camera shake and delivers sharp, blur-free images, even in camera-shake-prone conditions such as when using a telephoto lens, shooting low-light scenes with incident light only, or photographing sunset scenes. Using a high-accuracy gyro sensor, it provides compensation effect of 4.5 shutter steps*. When taking a panning shot, this mechanism automatically detects the direction of the camera’s movement, and efficiently controls the SR unit to produce the best image possible without requiring any mode switching. *Measured in conformity to CIPA standards, using a smc PENTAX-DA 18-135mm F3.5-5.6ED AL[IF] DC WR lens at a focal length of 135mm. Will the Shake Reduction (SR) function work with other manufacturer’s lenses? Are there any lenses that the Shake Reduction (SR) function cannot be used with? *When a DA, DA L, D FA, FA, FA J or F lens is used, information such as focal length is obtained automatically when the Shake Reduction function is used. *When a lens without an A position is used or the aperture ring is set to a setting other than the A position, set [24 Using Aperture Ring] to [2 Enable] in the [Custom 4] menu. The main specifications of movie recording are as follows. Sound Built-in stereo microphone, External microphone (Stereo recording compatible). Recording Sound Level adjustable. *When recording a movie with sound, camera operation sounds are also recorded. *If the internal temperature of the camera becomes high during recording, recording may be terminated to protect the camera circuitry. *In a Movie mode, the Wi-Fi function is disabled. Does the autofocus system operate while movies are being recording? In the default setting, the auto focus does not work even if pressed the shutter button half way during the movie recording. In the AF-S setting of the AF mode, the user can activate the AF system by pressing the AF button. When attached the compatible lens*1, the [AF.C] mode can be selected at [Movie 1] menu, [AF with Live View] and [AF Mode]. In the [AF.C] setting, the camera automatically shifts the in-focus point in relation to the subject’s movement. When [AF Mode] is set to [AF.C], the [AF/AE-L] button operation varies as follows depending on the setting assigned to [AF/AE-L] in [Button Customization] of the [Movie 2] menu. -The sound volume for recording a movie can be set in [Recording Sound Level] of the [Movie 1] menu. When [Manual] is selected, the sound volume can be set from 0 to 20. -If you don’t like to record AF operating sound of the lens, set the [Volume] to . *A movie can be recorded continuously for up to 4 GB or around 25 minutes. When the SD Memory Card is full, recording stops and the movie is saved. Can I adjust the shutter speed or aperture value in Movie recording? You can set them under condition below. U1, U2 or U3 The camera operates according to the saved exposure mode. Other modes The camera operates in [P] mode. The range of sensitivity for Movie recording? ISO100 to 12800 at [M] mode. *If the internal temperature of the camera becomes high during movie recording, the recording may be terminated to protect the camera circuitry. Can the external microphone to be used with the K-70? You can connect a commercially available stereo microphone to the microphone/cable release terminal on the camera. Using an external microphone can help to reduce the possibility of recording camera operation sounds. You can also connect the optional Cable Switch CS-310 to the microphone/cable release terminal on the camera. When the Cable Switch is connected, sounds are recorded with the built-in microphone. The camera records images the versatile JPEG format or the high-quality and fully editable RAW (PEF/DNG) format. You can also select JPEG + RAW (PEF / DNG) and record in both formats simultaneously. Can image rotation information be saved for images while the camera is held vertically or horizontally? You can select ON/OFF at the [Custom 3] menu, [20 Save Rotation Info]. What is the Pixel Shift Resolution System? By using the SR (Shake Reduction) mechanism, the Pixel Shift Resolution System captures four images of the same scene by shifting the image sensor by a single pixel for each image, then synthesizes them into a single, super-high-resolution composite image. This innovative system obtains all RGB color data in each pixel to deliver beautiful images with far more truthful colors and much finer details, without any hint of false color. This system also reduces high-sensitivity noise to a minimum. The electronic shutter is activate when capture the image by this system to reduce the camera shake. Set at [Capture 3] menu of [Pixel Shift Resolution]. Motion Correction On Corrects mosaic-pattern noise when a moving object is detected, and creates a composite image. Motion Correction Off Creates a composite image by combining the entire range of image. Off Does not use Pixel Shift Resolution. When shooting is performed, captured four images are displayed in turn, and then they are merged into a single image. *This function cannot be used in the following situations. *While this function is used, [Shake Reduction] of the [Capture 4] menu is fixed to [OFF]. *If a moving object exists in the frame, mosaic-pattern noise may appear in the image. In such case, select [Motion Correction On]. *When taking pictures with Pixel Shift Resolution, use a tripod and mount the camera on it securely. The use of Self-timer, Remote Control or Mirror Lock-up Shooting is recommended. What is the AA-filter Simulator function? By using the SR mechanism, AA(Anti-Aliasing) Filter Simulator effectively minimizes the moiré patterns often generated on subjects with fine, repetitive patterns, and the false colors commonly generated at the edges of high-contrast images, applying microscopic vibrations to the image sensor unit at the sub-pixel level during image exposure. It lets you choose the desired visual effect based on your creative intentions -between the filtering effect of the AA simulator and the higher resolving power of an AA-filter-free design. Type1 Takes pictures while balancing the resolution and moiré reduction. Type2 Prioritizes the moiré reduction. Bracketing Takes consecutive 3 images in order of [Off], [Type1], and [Type2]. * This function cannot be used in some capture modes or in combination with some other functions. * [Bracketing] cannot be selected in the following situations. -When [Moving Object], [Pet] or [Kids] of [SCN] mode is selected. *[Bracketing] can be used when the drive mode is set to [Single Frame Shooting], [Self-timer] (12 seconds, 2 seconds), or [Remote Control] (now, after 3 seconds). *When [HDR Capture] in the [Capture 3] menu is set, [AA Filter Simulator] is fixed to [Off]. *When the shutter speed is faster than 1/1000 seconds, the full effect of this function cannot be achieved. What is the Clarity control function? It is an image-processing tool useful in expressing the luster of metal or the clarity of the sky or water. It allows you to adjust the smoothness of the subject’s surface and express desired texture or clearness. Set at [Capture 3] menu, [Clarity] and there are choice of nine levels (between -4 and +4 settings). - This function cannot be used in combination with some other functions. What is the Skin Tone correction? It helps you reproduce the subject’s face with soft skin texture and healthy skin tone, while retaining a high-resolution description of the subject’s hair and outfit and the background. Set at [Capture 3] menu, [Skin Tone] for Type1, Type2 or OFF. Type1 Compensate the color and brightness of the skin. Type2 Addition to the Type1, the skin tone will be created more smoothly. What is the Digital Filter function? It enables you to change the color tone of an image or to modify an image in other ways. The Digital Filter can be applied during capture or playback mode. * Depending on the filter used, it may take longer to save images. *Only JPEG and RAW images captured with this camera can be edited with the digital filters. * RAW images captured using HDR Capture or Pixel Shift Resolution cannot be processed with Digital Filter. *Up to 20 filters, including the digital filter used during shooting, can be applied to the same image. What is the HDR mode function? The HDR (High Dynamic Range) mode synthesizes a single, rich-gradation image from three separate images(Standard / Under / Over) taken at different exposure levels. It delivers an image similar to the one seen by the naked eye, by minimizing whitewashed highlights and pitch-black shadows even in extreme high-contrast scenes. This mode is suitable for Landscape photography, and it is recorded by JPEG file. How much difference for the effected result at mode selection of the HDR capture, and how it is come into result when you set to A-HDR mode? You can choose HDR1, HDR2 or HDR3 at the [HDR Capture] of the [Capture 3] menu. A larger figure has a wider dynamic range. If you choose [HDR AUTO], depend on the difference of tone, the camera automatically set the adjusting range. You can also choose the Advanced HDR (HDR ADV) mode, which creates a dramatic photographic expression by adopting the technologies used in the Clarity control function. *HDR Capture is not available in [B] and [Movie] mode. *This function cannot be used in combination with [Clarity Control], [Skin Tone Correction], [Digital Filter], [Pixel Shift Resolution], [ASTROTRACER] or [AA Filter Simulator] functions. *You can set the range in which to change the exposure from [±1EV], [±2EV] or [±3EV] in [Bracket Value]. *When [Auto Align] is set to [On], it is automatically compensate a slight gap between frames which may occurred at hand-held shooting. *When [Auto Align] is set to [Off], [Shake Reduction] of the [Capture 4] menu is fixed to [OFF]. *The flash is not discharged at the HDR Capture mode. *For HDR Capture, multiple images are combined together to create a single image, so it may take time to save the image. During the image saving, [Data being processed] is displayed and you cannot take next shot until process is completed. Please tell me about the function when various lenses are used. All exposure modes are available when a D FA, DA, DA L, FA or FA J lens is used, or when a lens with an A position used with the aperture ring set to the A position. When other lenses than above are used, or a lens with an A position is used in a position other than A, the following restrictions apply. *1. Lenses with a maximum aperture of F2.8 or faster. Only available aperture ring set at the A position. *2. Lenses with a maximum aperture of F5.6 or faster. *3. Available when using Built-in flash, AF540FGZ, AF540FGZll, AF360FGZ, AF360FGZll, AF201FG, AF200FG or AF160FC. *4. Only available with compatible lenses. *5. Distortion Correction and Peripheral Illumination Correction are disabled when a DA FISH-EYE 10-17mm lens is used. *6. To use a FA SOFT 28mm F2.8 lens, FA SOFT 85mm F2.8 lens or F SOFT 85mm F2.8 lens, set [24 Using Aperture Ring] to [Enable] in the [Custom 4] menu. Pictures can be taken with the aperture you set, but only within a manually adjustable aperture range. *8. Fixed to [Spot] AF mode. *When the aperture ring is set to a position other than A, or a lens without an A position or accessories such as an auto extension tube or auto bellows are used, the camera does not operate unless [24. Using Aperture Ring] is set to [Enable] in the [Custom 4] menu. *When a retractable lens is attached and is not extended, you cannot take pictures or set some functions. If the lens is retracted during shooting, the camera stops working. MF S S 35mm full-frame size. *DA lenses with a motor and FA zoom lenses with a power zoom are categorized for the KFA2 mount. (Of these lenses, the lenses without an AF coupler are categorized for the KAF3 mount, and without a Diaphragm lever are categorized for the KAF4). The characteristics of the KAF4 mount? The camera corresponded with KAF4 mount is control the diaphragm with the electric signal and motor, not with mechanical lever. Therefore, the cameras which are not corresponded with the KAF4 mount cannot control the diaphragm, result of this, the exposure of the image may not be correct. The K-70 and later models are corresponded with KAF4 mount as it is, but the other models need update the firmware version to coop with KAF4 mount. The following features can be set in [Lens Correction] of the [Capture 4] menu. Peripheral Illumin. Corr. Reduces peripheral light fall- off occurring due to lens properties. Lat-Chromatic-Ab Adj. Reduces lateral chromatic aberrations occurring due to lens properties. *The Distortion correction and the Peripheral Illuminate correction can be saved on the control panel. *Corrections can only be made when a compatible lens is attached. The features are disabled when using an accessory such as a rear converter that is attached between the camera and the lens. *When [File Format] is set to [RAW] or [RAW+], correction information is saved as a RAW file parameter and you can select whether to apply the correction to the images when developing them. For the RAW Development function, [Color Fringe Correction] can also be set. Can the Power Zoom function of FA* lens and FA Zoom lens be used with K-70? Can the S (screw) mount lenses be used with the K-70? Yes, you can use them combination with the Mount Adapter K.
*The Focus Indicator does not operate unless [24 Using Aperture Ring] is set to [Enable] in the [Custom 4] menu. Can the 645 format lenses be used with the K-70? Yes, you can use below lenses combination with the 645 Lens Adapter K.
*A645, 645(LS lens), FA 645 lenses and HD D FA645 35mm F3.5 AL [IF]. *DA645 and D FA 645 lenses which do not have the aperture ring cannot be used with the K-70. *The camera does not operate and display [F- -] blink in the LCD panel unless [24 Using Aperture Ring] is set to [Enable] in the [Custom 4] menu and focus mode is set to [MF]. Can the 67 format lenses be used with the K-70? Yes, you can use them combination with the 67 Lens Adapter K.
*The camera does not operate and display [F- -] blink in the LCD panel unless [24 Using Aperture Ring] is set to [Enable] in the [Custom 4] menu. Are there any restrictions for function of capture mode when selected [Enable] in [24 Using Aperture Ring] of the [Custom 4] menu? (lens only or with accessories such as Auto Extension Tube K which is equipped with automatic diaphragm) The aperture is fixed to wide-open. The shutter speed changes in relation to the open aperture value, but an exposure deviation may be occurred. (accessories with manual diaphragm such as Extension Tube K) Picture can be taken with the set aperture value but an exposure deviation may be occurred. FA SOFT 28mm, FA SOFT 85mm, F SOFT 85mm (lens only) Picture can be taken with set aperture value in the manually adjustable aperture range. *If the aperture ring set to a position other than A, the camera operates in Av mode regardless of the mode dial setting except when set to M or B mode. *[F- -] appears for the aperture indicator in the status screen, Live View screen and viewfinder. *How to achieve the Correct Exposure with Aperture Ring not set to A position. 1. Set the mode dial to M.
2. Set the aperture ring to the desired aperture. The current shutter speed will be set. 4. If the correct exposure cannot be achieved, adjust the ISO sensitivity. *The Shake Reduction function operates by obtaining the lens information such as focal length. Set the focal length when using a lens that the focal length information cannot be automatically obtained. 1. Set [24 Using Aperture Ring] to [Enable] in the [Custom 4] menu. 2. Turn the camera off. 3. Attach a lens to the camera and turn the camera on. The [Input Focal Length] screen appears. 4. Use [Up▲] or [Down▼] button to set focal length. When using a zoom lens, select the actual focal length which the zoom is set to. The camera returns to standby mode. *You can set the focal length at [Capture 4] menu, [Input Focal Length]. Can I use other manufacturers’ replacement lenses with the K-70? Lenses from other manufacturers can be attached if they are K-mount lenses. However, responsibility for such use shall fall squarely on the user. We shall accept no responsibility or liability for problems arising from the use of such lenses. We will assume no responsibility or liability for accidents, damages, malfunctions and inaccuracy of focusing or exposure resulting from the use of lenses made by other manufacturers. Please tell me about the specifications of the drive mode. The main specifications of drive mode, fps and number of frames in continuous shooting are as follows. Single frame, Continuous (H, L), Self-timer (12s, 2s, continuous), Remote Control (immediate, 3 sec., continuous), Bracketing (2, 3 or 5 frames), Mirror Lock-up (possible to use with Remote Control), Multi-exposure(continuous, Self-timer, possible to use with Remote Control, ), Interval shooting, Interval Composite, Interval Movie Record, Star Stream. *Bracketing, Interval shooting, Interval Composite, Interval Movie Record and Star Stream mode are possible to use with Self-timer or Remote Control. *The number of recordable images for continuous shooting may differ depending on the transfer speed of SD Memory card to be used. The data above based on when use the SD Memory card with UHS-I, class 10. You can select [Immediate release], [3 Sec. delay] or [Remote Continuous Shooting]. Is it equipped Slow Shutter Speed Noise Reduction? If so, is there [Off] setting available? Yes, it is. You can select [AUTO], [ON] or [OFF] in [Slow Shutter Speed NR] of [[Noise Reduction] in the [Capture 2] menu. AUTO Applies Noise Reduction according to the shutter speed, sensitivity, and internal temperature of the camera. OFF Does not apply Noise Reduction at any shutter speed. Is it equipped Preview function? Yes, it is. You can set [Optical Preview(with viewfinder)] or [Digital Preview(with monitor)] in [Button Customization] of the [Capture 5] menu. Select [Button Customization] of the [Capture 5]　Select [Fx1 Button] and press right key. menu and press right key. Press right key at [Preview] (already selected)　Select [Preview] from the customize menu. Is there Bulb(B) exposure mode available with this camera? Yes, if you set the mode dial at [B], you can use Bulb exposure mode. When the shutter button is fully pressed and while pressing, exposure continued. To enable the timed exposure, press Green Button, and then use Front Dial to set the exposure time. You can set the exposure time within the range from 10" to 20'00". You can select [Type1] or [Type2] at [Bulb(B) Mode Options] of [Custom 1] menu. Type1: Press and hold shutter button for exposure. Releasing the shutter button stops exposure. Type2: Press shutter button to start exposure. Press again to stop exposure. * When performing the bulb exposure, use a tripod and mount the camera on it securely. The use of the optional remote control unit or cable release is recommended. * The drive mode cannot be set to [Continuous Shooting], [Bracketing], or [Interval Shooting]. Does the K-70 have an AF assist light? You can set [ON] or [OFF] at [AF Assist Light] of [Capture 1] menu. Is Face Detection function available in Live View mode, and how many faces can be detected? When [AF Active Area] is set to [Face Detection] in [AF with Live View] of [Capture1] menu, Contrast AF + Face Detection mode is activated. Up to 16 faces can be detected at a time. Does this camera equipped Fine-Tune function of AF? Yes, connect to an AV device, such as TVs, equipped with an HDMI terminal to display Live View images while shooting or to playback images in playback mode. Make sure to have a commercially available HDMI cable equipped with an HDMI terminal (type D). *While the camera is connected to an AV device, nothing is displayed on the camera monitor. Also, you cannot adjust the sound volume on the camera. Adjust the volume on the AV device. *By default, the maximum resolution supported by both the AV device and camera is automatically selected. If it fails to play back images properly, change the setting in [HDMI Out] of the [Setting 3] menu. *While the camera in the [HDMI out] situation, [Outdoor View Setting] and [Night Vision Red Light LCD Display] are disabled to set. Can this camera records the image while connecting and displaying on an AV device? Yes, you can precisely fine-tune your lenses with the camera’s autofocus system by selecting [Off], [Apply All] or [Apply One] at [23 AF Fine Adjustment] of [Custom 4] menu. *The flash modes that can be selected vary depending on the capture mode. *1 The built-in flash cannot be used for some scene modes. * You cannot take pictures while the built-in flash is being charged. If you want to take pictures while charging the flash, set [8 Release While Charging] in the [Custom 2] menu. * Depending on the lens being used, the use of the built-in flash may be limited. * When the built-in flash is used in Av mode, the shutter speed automatically changes over a range from 1/180 seconds to a slow shutter speed depending on the lens being used. The shutter speed is locked at 1/180 seconds when a lens other than a DA, DA L, D FA, FA J, FA, or F lens is used. * When the built-in flash is used in Tv, TAv or M mode, any desired shutter speed of 1/180 seconds or slower can be set. * The built-in flash is optimum for a subject at a distance from approx. 0.7 m to 5 m. Vignetting may occur when used at a distance closer than 0.7 m (this distance varies slightly depending on the lens being used and the sensitivity setting). Guide Number for built-in flash? The built-in flash is optimum for a subject at a distance from approx. 0.7 m to 5 m.
Are there any restrictions on the built-in flash that depending on which lens being used? Depending on the lens being used, the use of the built-in flash may be limited as below. FA★ 250-600mm F5.6 ED [IF] The built-in flash is not available due to vignetting. F FISH-EYE 17-28mm F3.5-4.5 Vignetting may occur if the focal length is less than 20 mm. DA 16-45mm F4 ED AL When the focal length is less than 28 mm, or when the focal length is 28 mm and the shooting distance is 1 m or less, vignetting may occur. DA★16-50mm F2.8 ED AL [IF] SDM When the focal length is 20 mm or less, or when the focal length is 35 mm and the shooting distance is less than 1.5 m, vignetting may occur. DA 17-70mm F4 AL [IF] SDM When the focal length is less than 24 mm, or when the focal length is 35 mm and the shooting distance is 1 m or less, vignetting may occur. DA 18-250mm F3.5-6.3 ED AL [IF] Vignetting may occur if the focal length is less than 35 mm. DA 18-270mm F3.5-6.3 ED SDM Vignetting may occur if the focal length is less than 24 mm. D FA 24-70mm F2.8 ED SDM WR Vignetting may occur if the focal length is less than 36 mm. ＦＡ★ 28-70mm F2.8 AL Vignetting may occur if the focal length is 28 mm and the shooting distance is less than 1 m.
FA SOFT 85mm F2.8 The built-in flash always discharges fully. The available functions when using an External Flash? Use of the following external flashes (optional) enables a variety of flash modes, such as P-TTL auto flash mode. *1 Available only when using a DA, DA L, D FA, FA J, FA, F, or A lens. When using a lens with an aperture ring, set the aperture ring to the A position. *2 AF assist light is not available with the AF540FGZ or AF360FGZ. *4 Available with the AF201FG. *5 When combined with the AF540FGZ, AF540FGZ II, AF360FGZ, or AF360FGZ II, 1/3 of the flash discharge can be output by the built-in flash and 2/3 can be output by the external flash. *Never press 1 on the camera when any external flash unit is attached to the camera. The built-in flash will hit the external flash. If you want to use both at once, connect them using an extension cord. *Flashes with the reversed polarity (the center contact on the hot shoe is minus) cannot be used due to the risk of damaging the camera and flash. *Do not combine with accessories that have a different number of contacts, such as Hot Shoe Grip, as a malfunction may occur. *With the AF540FGZ, AF540FGZ II, AF360FGZ, or AF360FGZ II, you can use the high-speed sync flash to discharge a flash and take a picture at a shutter speed faster than 1/180 seconds. Set the capture mode to Tv, TAv or M.
The standards of Wireless LAN are as below. What kind of function can be used with the Wi-Fi function? The following function can be used by directly connecting the camera to a communication device via Wi-Fi and using the dedicated application “Image Sync”. Remote Capture Displays the Live View image of the camera on the communication device, and enables controlling exposure settings and shooting by operating the communication device. Image View Displays the images saved on the memory card inserted in the camera on the communication device and import the images to the communication device. *Image Sync supports iOS and Android, and can be downloaded from the App Store or Google Play. For supported OS and other details, refer to the download site. *When the Wi-Fi function is enabled, the icon(white) indicating the wireless LAN status is displayed on the status screen and Live View screen. When the icon(gray) is displayed, a connection with the communication device is not established correctly. *Even after the Wi-Fi function is enabled, it returns to an inactive state when the camera is turned off and on again. Also, when the camera enters Movie mode, the Wi-Fi function is disabled. *Auto Power Off is not available while a Wi-Fi connection is established or images are being transferred. If Auto Power Off is activated while a connection is not established or during standby, the Wi-Fi function is disabled. The function is enabled when the camera recovers from Auto Power Off. *The Wi-Fi function is disabled during the USB connection. *Do not attempt to use the Wi-Fi function in a location where the use of wireless LAN devices is restricted or prohibited, such as on airplanes. *When using the Wi-Fi function, observe local laws and regulations governing radio communication. *If a memory card with a built-in wireless Lan function (such as an Eye-Fi card or a Flucard) is used, radio wave interference may occur. When this occurs, disable the Wi-Fi function of the camera. The Wi-Fi function is disabled when the camera is turned on. When the Wi-Fi function is enabled, a beep sounds and the icon(white) indicating the wireless LAN status is displayed on the status screen and Live View screen. When icon(gray) is displayed, a connection with the communication device is not established correctly. Which type of Memory Cards can be used with this camera? The SD Memory Cards, SDHC Memory cards and SDXC memory cards(UHS-I) are usable. Compatibility with the K-70 has been tested with memory cards from the below manufacturers. *The information above is given for the convenience of customers and does not guarantee complete compatibility with the K-70. *Corresponded with UHS-I speed class. Use a regular SD Memory Card (SD/SDHC/SDXC). When using SD Memory Cards with slow transfer rates, the start-up time, the number of images for continuous shooting, and the continuous movie recording time may be affected. How many shots can be taken by each capacity of the SD memory card? The approximate of number of storable images is as follows. *The number of storable images may vary depending on the subject, shooting conditions, selected capture mode and memory card, etc. *Recordable movie is up to 4GB or 25 minutes at one time. Are there any precautions that need followed when using SD Memory Cards? - Cards that have not yet been used or that have been used on other devices, such as on another camera or a computer, must first be formatted on the K-70 before use. - Do not remove an SD Memory Card or turn the camera off while recording data or playing back images or audio, or while the camera is connected to a computer via a USB cable. - Do not bend an SD Memory Card or subject it to violent impacts. Do not leave cards in locations where they will be exposed to water, moisture, or high temperatures. Can the SD memory card with Wi-Fi function(Eye-Fi card) or the Wi-Fi function of FLU card be usable with this camera? What type of batteries can be used with the K-70? Use the dedicated Rechargeable Lithium-ion Battery D-LI109 to power the camera. Can the AA type of batteries be used with the K-70? No, the AA type batteries cannot use with K-70. Is there an optional Battery Grip available for K-70? No, there is no Battery Grip available for K-70. How many photos can I take and how long can I play back images? The numbers of photos that can be taken and available playback time with D-LI109 are as follows. D-LI109 23℃ Approx. 480 50% Use 100% Use Approx. 270min. *The battery level may not be displayed properly if the camera is used at low temperatures or when performing Continuous Shooting for a long time. *Battery performance temporarily decreases as the temperature decrease. When using the camera in cold criminates, have extra batteries at hand and keep them warm in your pocket. Battery performance will return to normal at room temperature. Are there any precautions or suggestions to follow regarding charging, use, and storage the Rechargeable Lithium-ion Battery D-LI109? Yes. Please pay attention to following points. - The AC cord that contained with this product is dedicated for Battery Charger D-BC109. Please do not attempt to connect with the other device. Yes, the AC Adapter Kit K-AC168(J) is available (sold separately). The AC Adapter Kit K-AC168(J) (sold separately) works in the range from 100V AC to 240V AC (50/60 Hz), which should allow the adapter to be used in almost any overseas country, although a plug converter may need to be used depending on the type of electrical outlet in use in a specific country. Do not attempt to use a commercially available transformer or similar device with the charger and adapter as doing so may cause them to become damaged. You can connect the camera to a TV or other device with a HDMI terminal and play back captured images or display the Live View images on the connected TV or devices. During displayed the image on the AV device, the image will not be displayed on the camera monitor. And you will not be able to adjust the volume on the camera. Adjust the volume on the AV device. *Check the operating manual of the AV device and select a suitable input terminal for connecting the camera. *By default, the maximum resolution supported by both the AV device and camera is automatically selected. If it fails to playback images properly, change the setting in [HDMI Out] of the [Setting 3] menu. Only JPEG files captured with this K-70 can be resized and trimmed. Images that already resized or trimmed to minimum size cannot be done. What is the [Highlight Alert] function? Also, you can capture a single frame from a movie and save it as a JPEG still picture. Yes, you can, if you use the commercially available HDMI Cable (Type D) to connect the camera and the TV with HDMI terminal. What are the system requirements for the contained software [Digital Camera Utility 5]? Following systems are required for connection with a computer and using the software. HDD Approx. 100 MB or more at a time of installation and startup, Approx. 10 MB/file for JPEG files or approx. 30 MB/file for RAW files for saving image files. *To playback movies on a computer that were shot with this camera is required the software that can playback MOV file or AVI file. *Note that you will need the QuickTime viewer in order to play back movies on a computer. You can be downloaded QuickTime from the following address. When the aperture ring is set to a setting other than the A position to change the exposure manually, or a lens without an A position or a soft lens is used, the built-in flash cannot control the exposure and will fully discharge every time and the exposure may be overexposed. Uncheck the [Guide Display] in [Other Display Settings] of the [Capture 5] menu. When [Highlight Alert] is On in the [Playback 1] menu, bright (overexposed) portions blink red. Is the included warranty card valid overseas? The included warranty card is only valid within Japan.